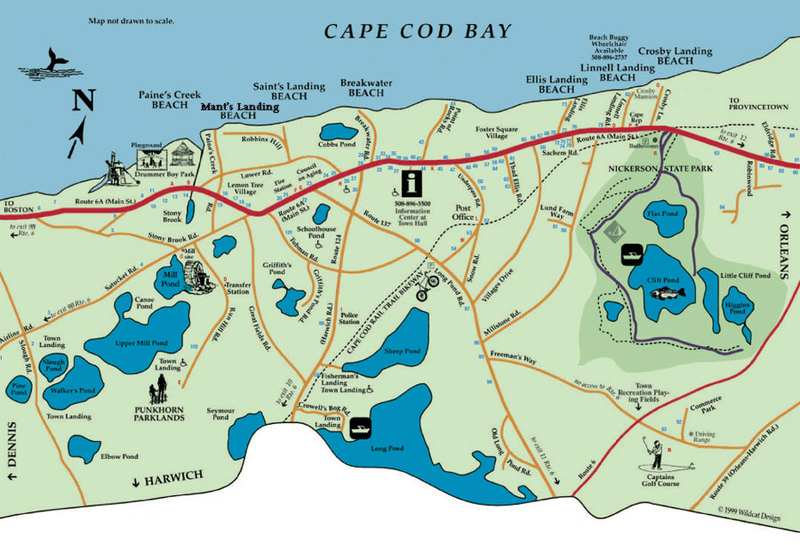 there are some great dog friendly beaches on cape cod that allow pets—the perfect place to take your dog during your cape vacation! What’s better than chasing a tennis ball through the surf, shaking off on a dry towel, and then curling up below a faded umbrella for a nap? Monument beach requires proof of 1 or 2 week lodging for temporary sticker. Rock Harbor offers one of the greatest sunsets on cape cod. All Pets must be leashed. Please clean up after your dog! The ecosystem at rock harbor is very fragile, please help preserve the beauty of this wonderful place! 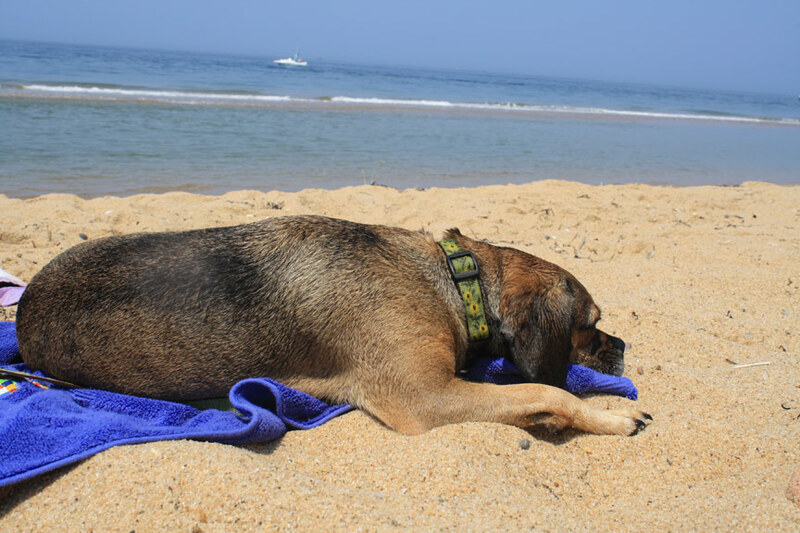 Eastham town bylaws prohibit dogs on town-owned public beaches from June 15-Labor day. 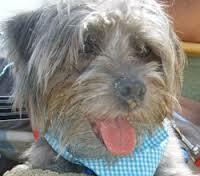 View all Eastham dog rules courtesy of the eastham dog owners association website. Bank Street Beach in Harwich requires a town parking sticker. The beach is very popular and the parking lot fills up early in the day. You can always walk from the free town lot (from the beach, take a left at rt. 28 and its just ahead on your right, near the Chamber of Commerce). Dogs only allowed during the off-season. parking sticker required. Earle Road Beach is a fairly small beach with a similarly sized parking lot. Fills up much later than Bank Street. #1 BEACH DOG RULE for pleasant bay beach in harwich on cape cod: you Must clean up after your dog! please bring a bag and clean up your mess, keep the beach looking cleaner than when you found it! 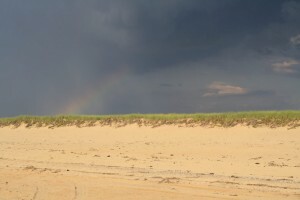 harwich’s pleasant bay beach allows dogs to play in a limited sandy beach area. main beach tends to be rocky and have broken shells. bring foot protection. pleasant bay beach’s access road on chatham side of the beach can flood at certain times in high tides, be aware or your tires will get to say hello to the ocean. Pleasant bay beach in harwich is a fun place to swim after a tennis ball. the shallow, gentle waters of pleasant bay are great for youngsters or poor swimmers, dog and human alike. lots of hermit crabs, blue crabs, and horseshoe crabs will keep children entertained all day long. Watch out for the currents as the tide is going out in the river though, they can be quite strong and may pose a safety hazard for kids or pets who aren’t strong swimmers. parking sticker required. Pleasant Street beach is pretty popular. Large parking lot usually fills up during nice days. If you get there and it’s full, head back towards Lower County road and take a right to try Earle Road Beach which is close by. Red River Beach is a long, narrow beach with a large parking lot. It is the only beach in Harwich that sells daily parking passes. Because it is so long, you’ll have more room to spread out your towel here than at most other beaches in the area. There are lots of jetties (and occasionally lots of seaweed onshore). Drive to the left to the far end of the parking lot for a great beachcombing, there’s a path down the shore side to a narrow river that fills with the tides. Red River Beach is the only beach in Harwich that allows dogs in the summer – but not on the sand. 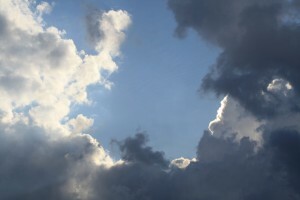 Dog walking is allowed in the parking lot from 7:30am-9:00am and also from 4:30pm-dusk year round. Dogs are only allowed on beaches in Harwich during the off-season. Dogs not allowed on harwich beaches during the summer season, which ranges from Memorial Day – Labor DAY each year. Sorry, we don’t know of any beaches in Mashpee that allow pets. 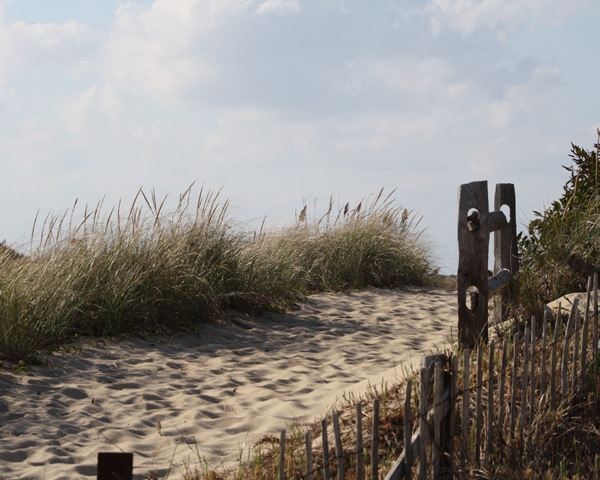 Dogs are not allowed on the Public part of Nauset Beach from April 1st – Labor Day. Pets are allowed in the offseason, after Labor Day until March 31st. 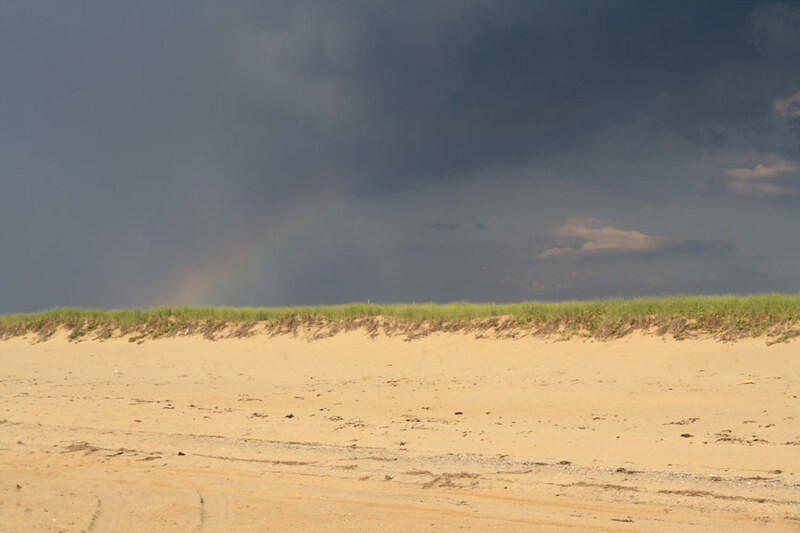 The ORV trails at nauset beach in orleans are open to dogs all year long, including summers. but there is a catch. Nauset beach’s off road vehicle trails south of the main parking lot are usually closed or greatly restricted for most of the summer due to piping plover nests (often memorial day through labor day). so don’t bother planning to get an orv sticker if you’re only here for a week or two, as it’ll likely be closed all season. When nauset beach’s ORV trails aren’t closed due to piping plovers, they’re an awesome place to take your pet. Dogs are allowed at the beach next to Rock Harbor after Columbus Day up until the Thursday before Memorial Day. Dogs are prohibited from The Friday before Memorial Day through Columbus Day. Rock Harbor is a very sensitive ecosystem, be very careful about cleaning up pet Waste if you visit during the offseason. Dogs are allowed on Skaket Beach in the offseason only. Pets are not allowed from April 1st – Labor Day. The dog rules for most beaches in orleans allow pets in the offseason only, from the day after Labor day through March 31st. 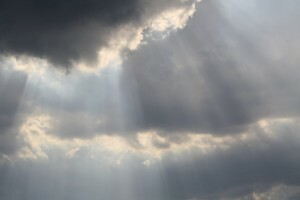 Special rules apply for Nauset Beach’s ORV trails and for Rock Harbor (where dogs are allowed only he extreme off-season, from after Columbus Day up until the Thursday before Memorial Day each year). South of Parking Lot to Trail #1: Dogs allowed off-season only. Dogs are not allowed from April 1st to Labor Day. 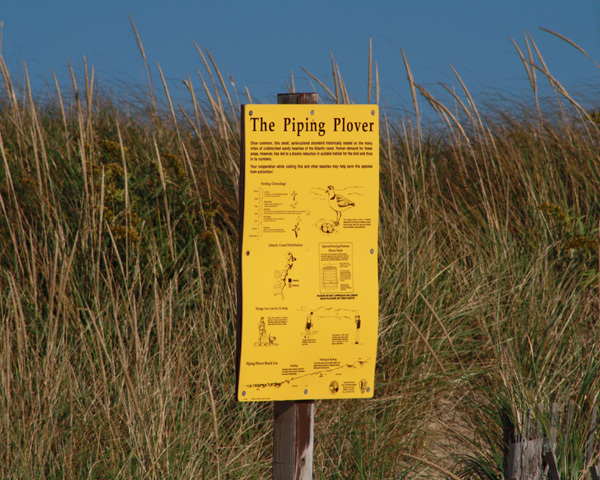 dogs are not allowed on areas closed to human or vehicle traffic due to nesting piping plovers. 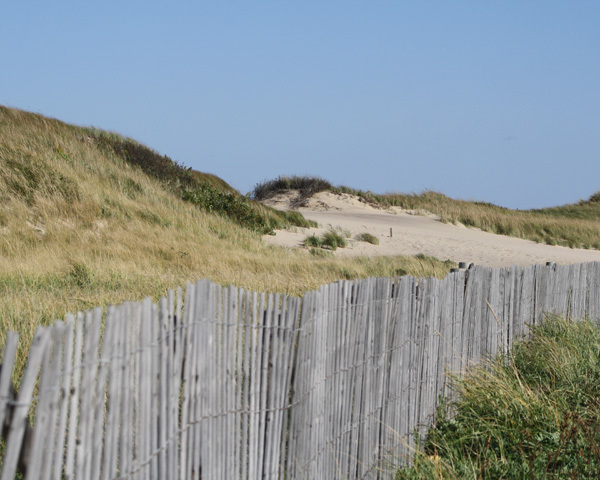 Make sure to call ahead if you’re planning to buy a beach sticker during the summer so that you can take your dog on Nauset Beach’s oversand driving trails. Nauset’s orv trails are typically closed from the end of may through early-mid august due to piping plover menace, so plan accordingly. dogs should be prepared to battle sharks on extended swims, great whites hunt off nauset all summer long and a splashing dog can look mighty tasty at times. Race Point Beach is amazing. One of the most beautiful spots on the cape. Whales swim just offshore for most of the summer. Lots of seals, and of course the occasional great white shark. Race Point has some of the best ORV trails on the cape as well. Even when closed for piping plovers, they usually keep stretches open with limited access. It can get crowded, but at least you’re out there! There is a section for campers as well if you’re really looking to settle in on a beach for a few weeks. Race Point’s ORV trails have amazing views. Head towards Powerline Road to get an up close view of a Race Point Light Station. If you really want to immerse yourself, you can even sleep there. That last rule is important. Very few beaches on the cape allow pets, so lets all make sure to not ruin the national seashore’s dog-friendly atmosphere. 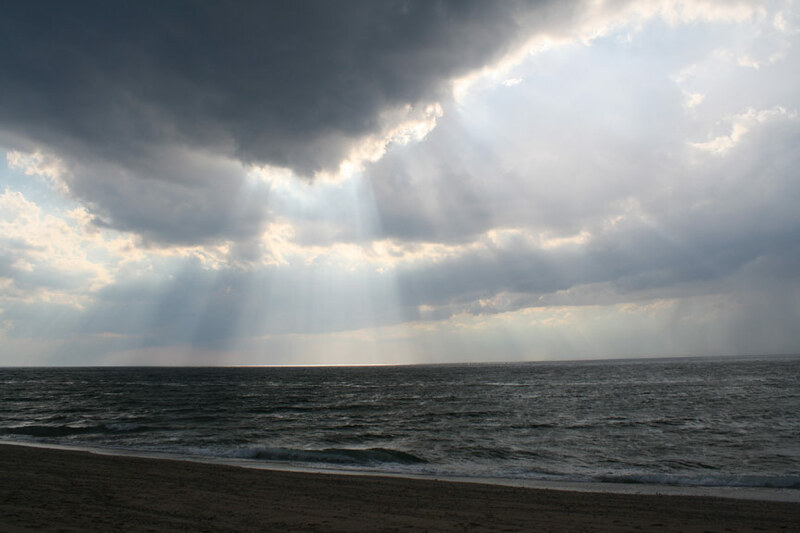 Herring Cove Beach is the most popular beach on the National Seashore. Amazing sunsets, good sized parking lot, a concession stand, great bathrooms. It’s a great beach. Dogs don’t wear bathing suits. People do. But not all people. Especially at this beach. Be aware if you have kids. There’s a few remote sections of this beach where the breeze rushes freely across all beachgoers, if you get our drift. One area is female only, one is male only, and the last is for couples. Your dog won’t care, but curious children might ask some uncomfortable questions. These beaches require some walking to get to, so stay near the main parking lot and you’ll be safe. Provincetown has the only public off leash dog beaches on cape cod. one of the highlights of any dog’s vacation is to run off-leash in p-town with some new friends. Lots of dogs tend to gather to play at provincetown cove Dog Beach, which is located off of Commercial Street behind Lands End True Value Hardware. The same rules apply as at a dog park – don’t bring aggressive dogs or animals that don’t respond to your voice commands. That being said, most dog owners we’ve met here are cool so you’ll have a blast! And of course always clean up after your pet. Head of the Meadow beach is one of the nicest beaches on the cape. 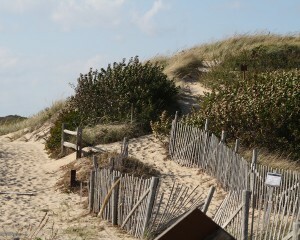 The national seashore beach is adjacent to a town owned beach that shares the same entrance road off of route 6. Because of the remote location in truro, it is typically less populated than other National Seashore beaches. Residents Only. Beware of sharks, Truro! You have some might hungry great whites cruising offshore here. In 2014 a swimmer got attacked at Ballston beach. Worth keeping in mind before swimming far offshore or throwing a tennis ball. But don’t live in fear over great white sharks, because realistically you’re swimming with sharks off of all the outer cape beaches. They want seals, not you or your dog. Residents Only. Very limited parking. beware of pedestrians, lots of foot traffic here, especially due to coast guard road being a short walk from a nearby dog-friendly campground. Coast guard road beach has ORV trail access in the evening for fishing purposes only. The trail runs right through where people sit, so watch out! There isn’t an air station here, so make sure you bring your own air pump. Note that this beach is different from Coast Guard Beach in Eastham. On all town-owned public beaches in truro, dogs are allowed in the off-season only. You can take your dog to the beach from Labor Day to the 2nd Saturday in June, but only before 9am and after 6pm. 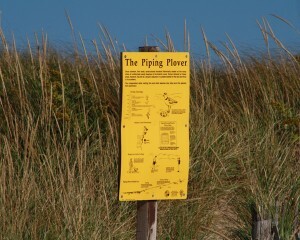 Pets are not allowed in areas protected due to plovers nesting. Marconi is another great beach for dogs on the national seashore. Lots of room here, with a huge parking lot rarely fills up. This beach has some really tall sand dunes, and a matching set of tall wooden stairs. Plan on walking a bit to either the right or the left on the beach to get to the unprotected area. The beach is named for the italian inventor marconi. From a site here, Marconi successfully completed the first transatlantic wireless communication between the U.S. and England in 1903. Most people don’t bother checking out the Marconi Station exhibit, but it is interesting. No dogs allowed there though. 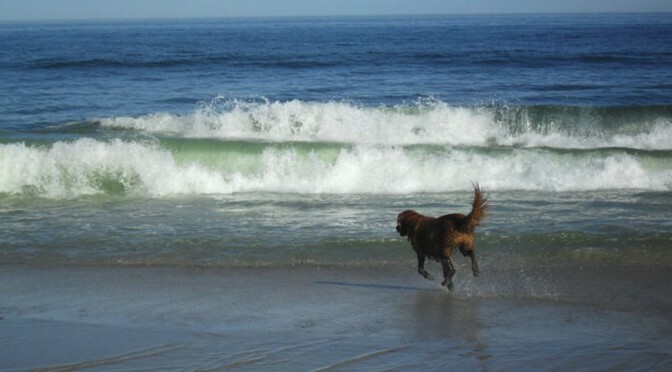 Newcomb Hollow’s beach allows dogs year-round, but all dogs must be on a leash between May 15 – October 15. Pets are not allowed on lifeguarded areas from 9:00am – 5pm during the summer. White Crest Beach (also known as Lecount Hollow Beach) allows dogs year-round, but all dogs must be on a leash between May 15 – October 15. No dogs are allowed on lifeguarded areas from 9:00am – 5pm during the summer. Lecount Hollow Beach (aka Maguire’s Landing Beach) allows dogs year-round, but all dogs must be on a leash between May 15 – October 15. Dogs aren’t allowed on lifeguarded areas from 9:00am – 5pm during the summer. At seagull beach, dogs will not be allowed from April 1–labor day. yarmouth beaches have the typical rules for dogs: keep them on leash, and clean up poop!